It’s one of the most popular New Year’s Resolutions: to declutter your home. Following the seasonal festive frenzy, homeowners often have the urge to purge their homes of unwanted items and to clear away the holiday clutter. But for some, that urge goes even further, as homeowners decide to downsize their current home to one that’s smaller and more affordable. What’s more, downsizing is a trend that’s expected to grow even more popular as the Baby Boom generation enters retirement. Faced with millions of empty nests and more house than they now need, observers say, Baby Boomers may decide to trade that four- or five-bedroom colonial for a smaller home with lower monthly payments and less upkeep. A study by the AARP Public Policy Institute found that the percentage of older middle-income families paying 30 percent or more of their income for housing increased from 20 percent in 2000 to 29 percent in 2009. Those findings mirror a 2010 Consumer Expenditures Survey by the Bureau of Labor Statistics, which reported that those aged 65 and older paid an average of 35 percent of their income on housing costs. Add in the fact that Americans are living longer and many are concerned about having enough to live on in retirement, and downsizing becomes an even more attractive financial option. Save money: For homeowners with significant equity in their current home, downsizing to a smaller, more affordable home can result in substantial savings and even provide families with a financial cushion. Save energy: Smaller, more energy-efficient homes generate additional savings in heating and cooling bills. Save upkeep: Smaller homes or condominiums require less maintenance and upkeep -- a plus for older residents. Recognizing this trend, many master-planned communities offer a range of home styles and prices that are appealing to downsizing buyers. 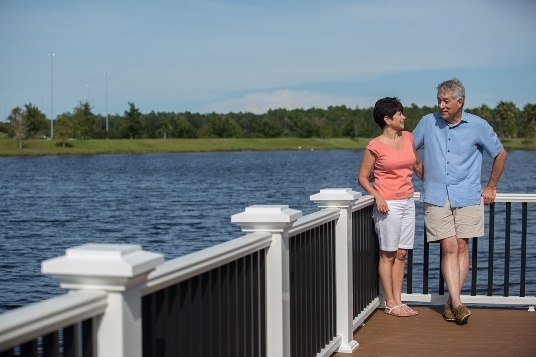 Unlike the subdivisions of old -- where all of the homes were the same size, style and price -- today’s master-planned communities offer a wide range of housing options: everything from condominiums and two-bedroom homes to spacious estates. Nocatee’s new Enclave at Town Center, Ray adds, offers a variety of two-bedroom home styles within walking distance of the shops and restaurants at Nocatee Town Center. For more information on downsizing to a home in Nocatee, visit the Nocatee Welcome Center or call 1-800-NOCATEE.